Published July 20, 2015 at 2195 × 1848 in Samples of Our Work. 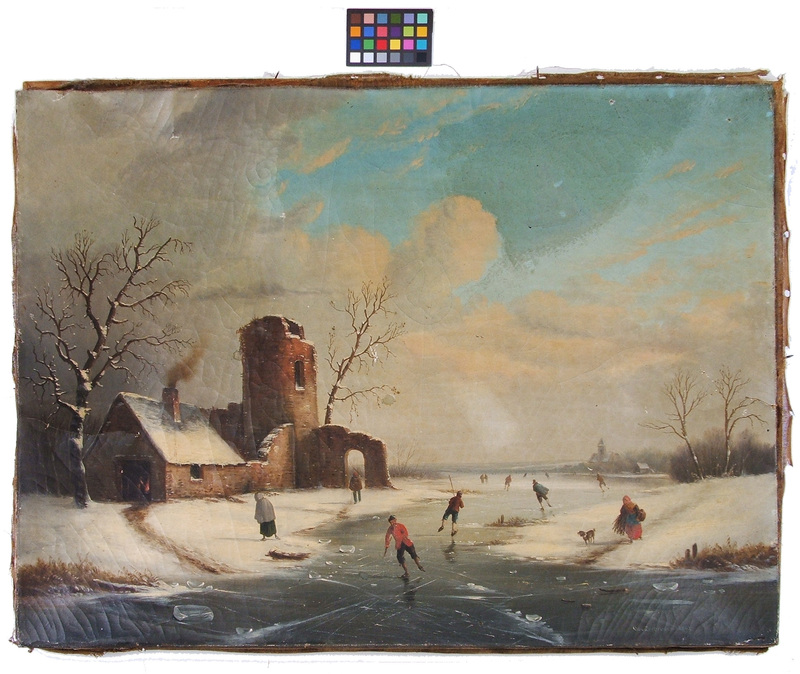 This Dutch painting of ice skaters was falling off its stretcher when it came into the shop. The canvas had some structural issues as well as old repairs and layers of discolored varnish.